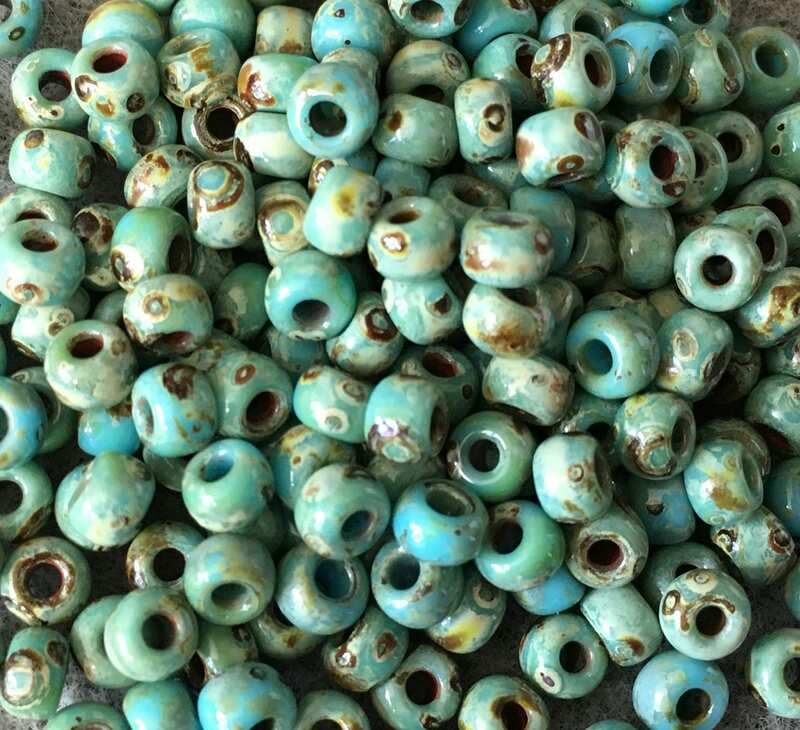 Size 6 Miyuki turquoise picasso seed beads. Stone look finish that everyone loves! 6 inch tube, 28 grams, Approx. 336 beads (about 12 beads per gram). Size 6/0 beads measure about 4mm (also referred to as E-beads). Plenty of beads for your beading, knitting, crochet, fiber arts projects! Love, love, love!! Fast shipping and great product!